Updated Friday March 27, 2015 by Kanata Little League. “It takes a community to raise a child” is a famous adage that rings true to most of us. It also takes many volunteers to run a Little League. 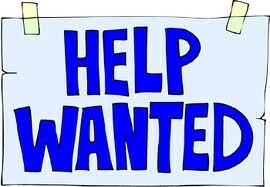 KLLBA is in need of some additional volunteers for the Spring 2015 season. The league is only as good as its volunteers - what can you do to make the league better? Duties include organizing the sort out session (for Rookie and older), gathering and inputting data from sortouts, organizing the player draft, creating a division schedule for Spring season, organizing final playoffs or fun-day and being a common focal point for the coaches in the division. Using the provided online league management system (LeagueToolBox) to accomplish these tasks is highly recommended. For 2015 we expect Convenor(s) at Rookie and above to also assist in the organization of the Summer teams which will when organized largely be turned over to the resulting Summer coaches. Division convenors will be advocates for all of the age divisions players and operations. Estimated time commitment 2 hours per week during the early spring, a little more during April and less as the season gets underway. We also need help running our annual "Scott Tokessy Tournament for CHEO" which takes place in August and devotes all funds raised to CHEO, 2015 will mark the 20th Anniversary of this tournament, which is the largest Little League Tournament in Canada devoted to Charity. The following positions urgently need to be filled (but other help would also be appreciated!). The organizing committee meets monthly through April, and more regularly in the weeks leading up to the tournament. Tournament Director – this is the final year for the incumbant Tournament Director in that role, and ideally, to ensure this tournament continues to run successfully in the future, we would like a successor to assist this years director through this years operations. There is an existing core group of volunteers who have been helping to organize this tournament for a number of years. Rookie Division Coordinator – in 2013 the tournament successfully added a Rookie division, and we would like to continue to do so for coming years. The past Rookie Division coordinator will remain on the tournament organizing committee, but will be taking on other tasks. We need a "Champion' for the Rookie division to ensure that it continues.